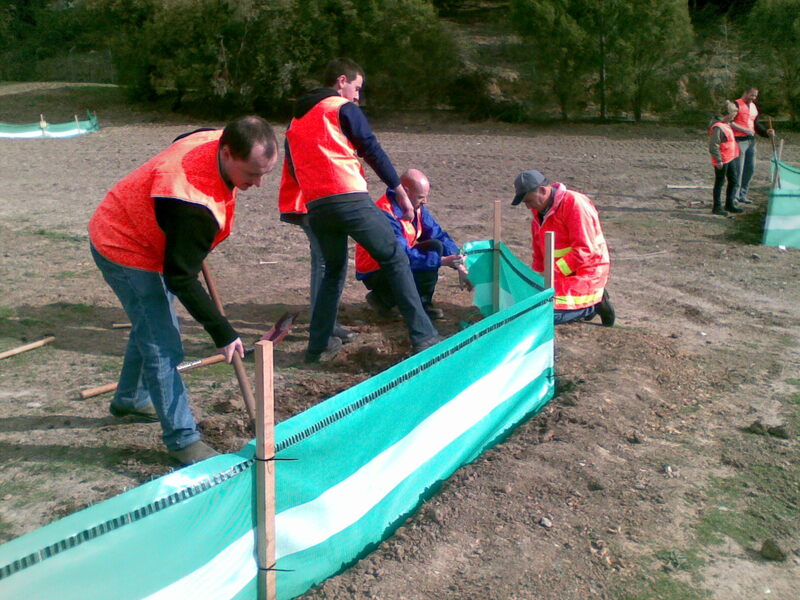 Statewide River and Stream Management has been announced as a finalist in the Environmental Protection category for this year's Premier's Sustainability Awards for their Environmental Management Training programs for the Construction Industry. Sustainability Victoria CEO Stan Krpan congratulated the Statewide River and Stream Management team for their creative and influential work towards building a more sustainable environment for all Victorians. “Delivering these awards each year means we continue to discover the passion and talent Victorians have for protecting their natural environment and thinking creatively about new sustainable practices. “These awards represent Victoria’s highest recognition for sustainability, and acknowledge leadership, innovation and achievement. “The more we embed sustainable measures into our day to day lives, the better the outcomes will be, now and into the future,” Mr Krpan said. Statewide River and Stream Management has developed and delivers targeted environmental training for the construction industry. Their aim is to ensure that best practice in environmental management is embedded in the culture and operational activities of the sector and to influence behavioural change in improving environmental protection outcomes. Training covers topics such as new and emerging risks and technologies, new environmental protection measures, onsite stormwater management and updates in legislative requirements - all delivered by industry experts. In 2014, 211 participants engaged in the training, resulting in more people within industry managing their sites in compliance with best practice principles for an environmentally sustainable outcome. 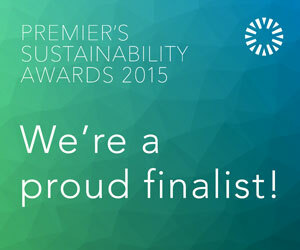 Now in their 13th year, the Premier's Sustainability Awards continue to promote leadership and innovation in sustainability, and encourage a broader adoption of these practices by all Victorians. In addition to the category awards, the Premier of Victoria, the Hon Daniel Andrews will personally select two winners for the Premier's Regional Recognition Award and the Premier's Recognition Award. Winners will be announced at the awards ceremony on Thursday 29 October at the Plaza Ballroom, Melbourne. Tickets are now available for purchase at www.sustainabilityawards.vic.gov.au until Friday 23 October. Innovative street lighting project replacing over 13,000 energy inefficient lights, reducing energy use and saving landfill across nine Victorian regional councils. State-of-the-art academic facility committed to sustainability and green architecture sets a new standard in design education. A national waste education program organises thousands of garage sales across Australia on the same day. Collaboration between industry, community and government to develop an employment program for workers affected by cuts at a large food production company. Volunteers collect, reuse and recycle pre-loved babies and children's gear, sharing the joy of parenthood and saving the earth's precious resources. Teaching children to build computers using electronic waste resulting in a fully functioning computer being built for less than $100. Connecting law students to small, start-up community, environmental and social enterprises working in the public interest to advance sustainability to provide free legal advice. Free, comprehensive and practical guide to the construction of green walls, roofs and facades, funded by government, industry and universities in response to changing climate. Making solar power more accessible to low income residents - households install solar PV systems and pay them off through Council rates, interest free over 10 years. Australia’s first Indigenous youth climate network builds a movement of Aboriginal and Torres Strait Islander young people for climate justice. Community advocacy group, formed after the Hazelwood Mine Fire, voices health impacts and risks experienced by residents of Morwell. Major health service is the first in Victoria to implement the Closed Loop Organics System, an onsite composting machine for food waste. In-house treatment process reclaiming dissolved copper from manufacturing wastewater, recycling it and using the treated wastewater onsite, eliminating hazardous waste to landfill. Training programs for the construction industry supporting best practice in environmental management, embedding skills in culture and operational activities. A small rural council introduces an integrated, well-researched service to remove organic waste from landfill and develop sustainable, productive uses for it. The first Melbourne healthcare facility to recruit a dedicated sustainability officer and to host the Victorian Green Health Round Table Group. Amajor health group develops a strategy supporting their vision to be recognised as an industry sustainability leader, outlining priorities for four years. A large Melbourne health service transforms its environmental cleaning practices by cleaning without chemicals across all of its sites. An innovative locally manufactured product, reduces the use and disposal of packaging, bringing sustainability to the Melbourne hospitality culture. Holistic approach to sustainable business supporting small to medium enterprise sector to help businesses achieve significant resource efficiency gains and commercial benefit. An initiative that helps schools and organisations raise money through ethical fundraising and ships unwanted clothes and goods to developing countries. Regional manufacturer implements three major projects, culminating in a carbon footprint reduction, material handling efficiencies and reduced energy usage. School camp facility designs and implements a new, sustainable power system including 40kW’s of solar and large battery storage banks. Conference, wedding and accommodation centre conducts certified sustainability programs spanning energy, water, waste and community development.